The case was brought by ClientEarth, a group of lawyers dedicated to environmental issues. Wednesday’s decision follows a hearing last week, which is the culmination of a four-year legal battle. ClientEarth’s case against the British government centers on an EU directive, which set limits for air pollutants such as nitrogen dioxide and a deadline as far back as January 1, 2010. The Air Quality Directive included a provision that allowed member states to establish zones where it would be difficult to reduce pollution. UK courts were empowered by the ECJ to take any measure necessary to ensure the government complies. ClientEarth took the case to Britain’s Supreme Court on April 16 this year. Under the government’s current planes, air pollution would not reach legal levels in some British cities such as London, Birmingham and Leeds until 2030. 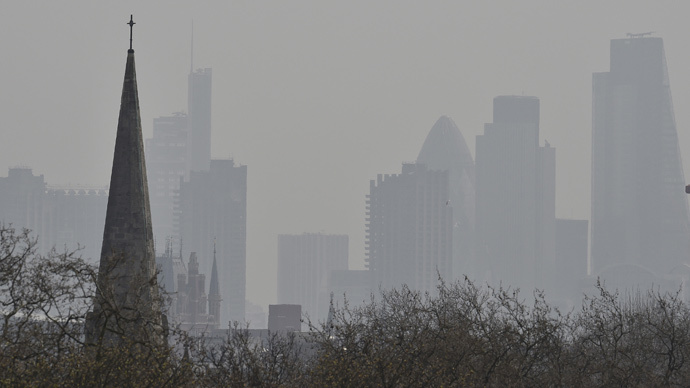 The court’s ruling follows a day of high-to-very-high levels of air pollution in Southern England earlier this month. Asthma sufferers were advised they may need to use inhalers more often and elderly people were warned to avoid physical exertion. Campaigners at Clean Air in London cautioned those preparing for last weekend’s marathon to “very seriously consider” training indoors. Alan Andrews, a lawyer for ClietnEarth, said: “This ruling will benefit everyone's health but particularly children, older people and those with existing health conditions like asthma and heart and lung conditions.